Mines operate some of the world’s largest working facilities known to mankind. Every day, resources are extracted and processed to create a multibillion dollar industry. These resources are then used to provide commodities such as building materials, appliances, toothpaste, jewellery, lubricants, paint, fertiliser, photography, drawing materials, cooking ingredients, utensils, coatings, machinery, chemicals, and pharmaceutical materials, which are used by every segment of society every day, encompassing just about every person on the planet. To provide such convenience comes at a cost. Mines can be very dangerous places, involving an outstanding number of safety regulations – and a high fatality rate. According to the International Labor Organization (ILO), while mining employs around 1% of the global labour force, it generates 8% of fatal accidents. According to the US Department of Labor Mine Safety & Health Administration, there were a total of 112 deaths in the coal mining industry in the US alone since 2009. There are a few different ways to mine, each suited to the specific circumstances of the mineral deposit, and each with different cost structures. Most minerals can be reached in two ways: either extracted from open workings by the act of digging down to expose the sought out mineral, or from underground workings through shafts or tunnels. Resources such as gold, copper, iron, coal, nickel, uranium, diamonds, and silver are extracted from underground or open pit mines and are processed in facilities every day. In the Middle East, mineral facilities include mines, plants, mills, or refineries of aluminium, cement, coal, copper, diamond, gold, iron and steel, nickel, platinum-group metals, salt, and silver, among others. The majority of mining locations are found in remote regions. In addition to the often poor infrastructure of these areas, miners have the potential to face high altitudes, icy and snowy climates, deep tropical forests, and desert environments when mining, with underground miners facing conditions that may include heat, noise, darkness, and humidity. Threats to worker safety and health are therefore greater, as there are many more unforeseen complications and dangers. These secluded areas often require significant and ongoing investments for roads, development of ports and bridges, railway construction, tunnels,and energy generation projects to be able to perform the mining activities. For example, there is known to be a large number of untapped mineral deposits in some developing parts of the world that are worth trillions of dollars, but due to the remote nature of some of these regions, it can be complicated to figure out how to safely develop the deposit in an environmental and socially responsible way. In addition, without experience in heavy industry, the mining industry or infrastructure in place, little or no history of environmental protection, it may take decades for such parts of the world to fully exploit their mineral wealth. Natural disasters and differing climates in remote mining locations also pose immediate health and safety risks. Rainstorms, flooding and drought will weaken food security, which undermines worker health and productivity. Working in the higher temperatures, which are prevalent in the Middle East, may affect worker recruitment, retention, safety, and productivity by increasing risks of accidents, creating or intensifying lack of food and water, and causing a higher incidence of disease. With the addition of having to build the infrastructure to access the mine, safety concerns rise significantly, with the need to encompass regulations pertaining to mining and mining related activities. Some exceptions to remote mining locations can include the corporate offices of a mining company in, for example, London. For the mining industry in particular, however, being on site means being where the interesting things are actually happening. On the plus side, a mining project offers one of the fastest ways for a nation to improve its community infrastructure. The mining industry is one of the few industries that work around the clock. It was the first industry to achieve a 35 hour week back in the late 1800s, but in recent years, it has become characterised by long hours to become the second longest of any industry, next to road transport. At some mines, miners usually work long shifts of 10 to 14 consecutive days, with some days off between shifts. Other miners often work four, five, or even seven 12 hour days, followed by four or five days off, followed by four or five 12 hour nights. The remote locations of mining operations can help contribute to the long work hours, which often require some miners to remain in the mining camp for months before going home. Working long hours may be good for the industry’s output, but for the worker these long hours may cause several safety and health concerns. Many researchers have proven that there is a connection between working overtime and the risk of developing occupational health hazards. For example, it might be hard to stand for the entirety of the work period on a typical 12 hour shift, especially underground. Good health, psychological strength and stamina are necessary for workers to complete their shift, as well as to minimise any future problems associated with their occupation. In other mining areas, long hours are also exploited with hard physical labour and exposure to pollution, which makes working very difficult. 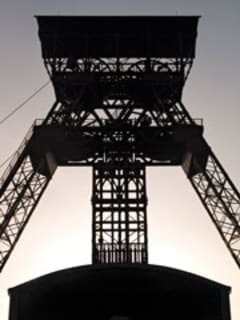 Some mines in regions like South Africa and some areas in the Middle East work people to excess, for very minimal pay, and often do not provide their workers with basic health and safety protection. Heart disease, fatigue, stress, depression, chronic infections, diabetes, back aches, general health complaints, and death are some of the grievances that workers face when working late and/or for long hours. This type of work can unfortunately lead to inhibiting worker productivity and health. Over the years, the increase in computerisation and automation at mines has changed the skill base of workers significantly. Overall, there are now fewer workers employed at mines compared with the past. The young employee who works his way up to become one of the experienced miners tends to be an image of the past. Because of the increased complexity of the mining process and involved technology, many modern mining companies have shifted their focus from finding workers anywhere at any cost, to ensuring the workforce they currently have is efficient, well informed and safe, requiring a much higher level of skill, which now may include proficiency in computer use. New emerging technologies may be able to create more opportunities for educating and empowering workers, thereby reducing safety incidents and improving efficiency. For example, a mine company in Australia has implemented remotely operated underground loaders to reduce operator exposure to hazards. Australia is also developing several other technologies that aim to reduce accidents and incidents on a mining site, which include glasses that predict micro-sleeps, remotely operated underground vehicles, autonomous trucks, sensor networks, mobile apps and touch screen information kiosks. Around the world, other mining companies are creating ways to make training more consistent for employees, as well as looking at robotics, mobility solutions, point-of-work communications, and centralised communication systems that all look to improve the working conditions and safety and health issues in mines. As a result, most of the mining groups will more likely hire recently graduated students from high school programmes in mining, or technical school programmes in mine technology. Such schools and programmes are usually located in mining areas, which also give future workers the opportunity to get used to a mining environment and benefit from professional training opportunities. Mining is an historically male dominated industry, as the nature of the job typically involves heavy labour. For a long time women were believed to bring terrible luck in underground mines. The worker demographic is changing, however, and more women are entering into the mining occupation. In addition to the more labour intensive jobs in mining, all kinds of jobs are available, from secretarial and financial work to driver and IT needs. Associations such as Women in Mining promote the professional development of women working in the sector by offering a website with relevant content to enhance women's knowledge and possibilities. In Australia, women represent 20% of the mining workforce. In Canada, their participation has increased steadily from just over ten percent in 1996 to 14 percent in 2006. Though a gender pay gap still exists, it is not completely specific to mining. Since the earliest days of mining, the job of digging into the earth for resources has been considered one of the world’s most dangerous occupations. According to the US Bureau of Labor Statistics, working conditions in mines, quarries, and well sites can be unusual and sometimes dangerous. With dramatic mine related accidents regularly reported in the news, public concern has risen over the death toll, injuries, and destruction in mine accidents, prompting much needed safety legislation to be passed and intensifying the search for safer mining methods, improved training practises, and technology. Mine site hazards include injuries and fatalities from falls, fires, explosions, electrical accidents, toxic dust and noise. The short term risks involved with these accidents and explosions might result in an acute injury or even death, with long term effects from dust and noise that can result in serious respiratory diseases and hearing loss. 1. Weather – The weather can play a huge factor in the mining industry, and is especially dangerous for surface mining. Workers in surface mines, quarries, and wells are subject to rugged outdoor work in all kinds of weather and climates. Some surface mines and quarries shut down in the winter because of snow and ice covering the mine site, making work too dangerous. Though surface mining is the most commonly used form of excavation in the mining industry today, it is usually less hazardous than underground mining. 2. Underground mines – Mines that are located deep in the earth are damp and dark, sometimes with several inches of water on tunnel floors, and some can be very hot and noisy. Although underground mines have electric lights along main pathways, many tunnels are illuminated only by the lights on miners’ hats. In mines with very low roofs, workers may have to work in confined spaces on their hands and knees, backs, or stomachs. Unique dangers for underground mining operations include the possibility of cave-in, mine fire, explosion, or exposure to harmful gases, which makes underground mining the global loss leader by far in fatalities and injuries for all industries from a personnel safety standpoint. 3. Dust and disease – Dust is generated by drilling in mines, and this type of activity places miners at risk of developing serious lung diseases, such as pneumoconiosis from coal dust, also called ‘black lung disease’, and silicosis from rock dust. These days, dust levels in mines are closely monitored and occurrences of lung diseases are rare if proper safety procedures are followed. Underground miners have the option to have their lungs X-rayed on a periodic basis to monitor for the development of disease. 4. Explosions – Personnel, production equipment and buildings are exposed to fire and explosions at mining and mining related processing facilities. For example, in 2011 a methane gas explosion caused the collapse of a coal mine in Pakistan, causing the death of 45 out of 52 workers. Eight more coal miners were killed in a similar explosion in early 2013 at another coal mine in Pakistan. According to the National Fire Protection Agency in the United States, approximately ten to 15 percent of all mining deaths can be attributed directly to fires and explosions. Mining suppliers may also be affected as, for example, on site or off site explosives manufacturing is a high risk job. Though some issues are addressed in reaction to an accident, restrictive legislation and safety rules have been put in place to prevent such accidents and alleviate the risks, such as necessary personal protective equipment (PPE) and educational efforts. As a result, initiatives taken to protect workers against hazards have helped mining deaths and injuries to significantly decline in this century. The safety professionals in the American mining community and the Mine Safety and Health Administration (MSHA) still find even the current relatively low injury numbers and frequency rates unacceptable, however, and are working to continue to lower these incidents further. Mining continues to be a dangerous, yet vital industry in the United States. In order to prevent future injuries and fatalities, it is important for new safety measures and mining alternatives to be continuously and fully explored and implemented. Mining conditions are very different depending on the location, type, and size of the mining operation. Growing cooperation among industry, labour and government also has contributed to making mining safer, especially in recent years. By understanding mining’s threats to health and long term wellbeing, and by taking precautions to reduce harm in all mines, miners and other people in mining communities can better protect their health and improve their lives.